Gilead Sciences has settled a patent dispute with Teva over its HIV and hepatitis drug Viread ahead of a US court case to test the strength of its intellectual property. No financial terms of the settlement have been disclosed, but according to a Gilead statement, Teva has agreed to hold off on launching a generic version of Viread (tenofovir disoproxil fumarate) until December 15, 2017, when the US patent on the drug expires. The litigation between the two companies on the validity of Gilead's Viread patent had been due to come to trial later today in the District Court for the Southern District of New York. Tenofovir disoproxil fumarate has been a massive success for Gilead since it first launched in 2001, both in the Viread brand and as a component of the company's combination treatments for HIV and hepatitis B.
Viread achieved sales of $850m last year. Meanwhile Gilead's entire antiviral franchise of five products - all of which contain the active ingredient - brought in $8.14bn out of total product sales of $9.40bn. 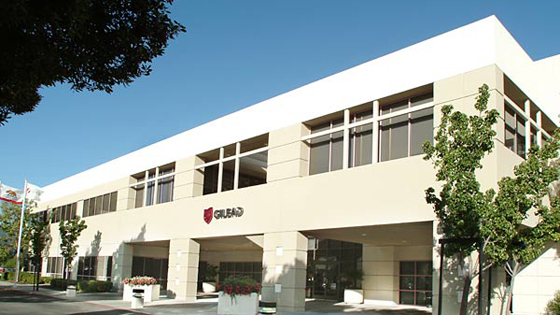 The deal also buys time for Gilead to bring its Viread follow-up tenofovir alafenamide fumarate (TAF) to market. TAF entered the phase III testing stage last year and has been designed to reduce some of the side effects of its parent compound including the risk of renal impairment and bone thinning. "This settlement removes some uncertainty and minimises further distraction and investment of human and financial resources associated with this litigation," said Gilead's chief operating officer John Milligan in a statement. Previously, Gilead has successfully defended its Viread patent estate in US court cases which took place in 2008 and 2010.